So I'm almost in Maimon. 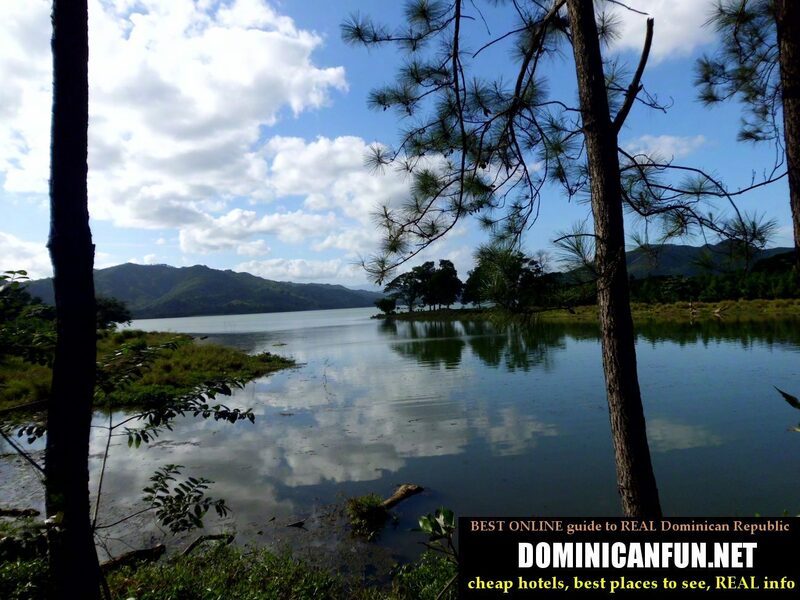 Around 10 km from that town there is beautiful lake - presa de Hatillo. The road that leads to that lake from Maimon town is bad, really bad - unpaved and with a lot of potholes. But the lake itself its beautiful. Well, I am not sure if is still beautiful, after Barrick Gold mining operations. But anyway. it was beautiful in 2013. So finally I discover something beautiful in this country. Or should I say - once again, after visiting Jarabacoa mountains. But this time its really calm and quiet here. 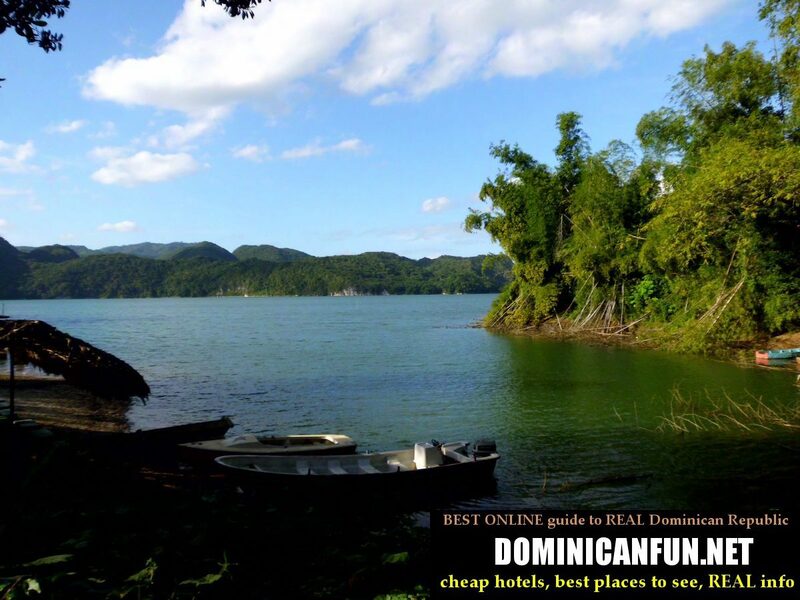 National Park near the Lake Hatillo is really something worth visiting. Built in 2010, so its still new. With free entrance (at least it was like that in 2013). Park contains lake and area around it - forest, parks, fields etc. They even imported some special trees to it, and that I saw for the first time in this country tree without leafs..and instead of them - there are conifers here. There are many caves in this national park. For anyone who wants to visit it - just ask the national park staff and they can organise for you some excursion. Presa de Hatillo once again. Like I said before - Barrick Gold, canadian company started to mine gold from the terrains around this lake. I visited it later, in rainy June 2013 and the local people were saying about contamination of the lake's waters. I couldnt verify it , as the road - in that rainy June - was totally flooded and the only way to get to the lake were by boat. And since I didnt have one - I skipped it. So if you have time, go there and see it for yourself. Lake itself and terrains around it were really beautiful. I hope that they are still like that.